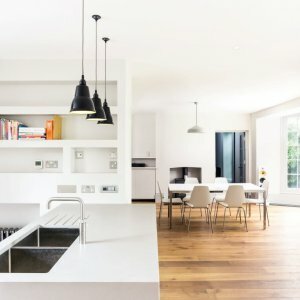 Whether your project is an extension, a complete remodel or a new build, we produce designs that make the most of available space and are special and personal to you. Our expertise in lighting design and ‘smart home’ features can help create a sense of luxury and fun. And our passion for sustainability can give you a warm, low-energy home with lower running costs. Every building or site is unique and has its own set of opportunities and constraints. Our portfolio encompasses different architectural styles – from contemporary buildings to listed period properties – and a wide variety of projects. We simplify the whole process for you – it’s what we do really well. We honestly believe the best client experience comes from forging a relationship with us right at the beginning of a project; one that continues up to the point when your builder hands back the keys. Our services (and fees) are broken down into project stages. We clarify requirements upfront to help you achieve a better end result. 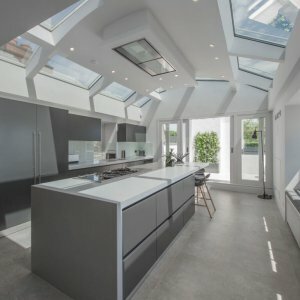 Finishing on time and on budget is a challenge (you’ve seen programmes like Grand Designs). The success of your project relies on being clear about what you want and need, not just now but in the future. The time we spend working with clients during the initial stages ensures your project has solid foundations from the start. We think through all the options that could best meet your requirements. We don’t rush into producing concept designs; we ask the right questions to identify which goals are the most important to you, and to find out about any specific likes / dislikes that could make or break your project. 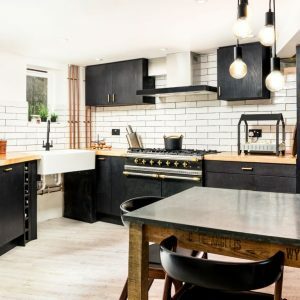 There’s a lot of decision-making after the planning and building regs stages that we can guide you through, helping you get a definitive quote from your builder. We ensure your designs are realised and built to the standards specified. We don’t want you to have to compromise once construction gets underway. Our ongoing support helps avoid any costly delays working out design / build issues. We’ve put together an informative guide sharing insights into the value of good design, building costs, common project issues and the reality of construction. We’ve produced a downloadable portfolio, showcasing a small selection of the residential projects we’ve worked on. Alternatively, click here to view more projects. We’ve created this pack to guide you through the research phase. Insufficient project planning accounts for so many building projects going over time and over budget.